NEW YEAR'S TRAVEL RESOLUTIONS: How Will You Travel Smarter in 2015? Do you return home from a vacation resolved to learn from your travels and to navigate your next adventure with a little more wisdom than your last? I do. But resolutions take practice and require consistent attention. Who hasn’t experienced the fierce surge of a New Year’s resolution, only to feel it fade away to a faint tickle of desire until eventually, it is forgotten? I asked Wildland Adventures’ South America Program Director, Kirsten Gardner, what she carries in her travel bag, and why. Learn her list of must haves. If candle lit nights, questionable drinking water, remote paths, or lengthy transits on public transportation are in your travel plans, read on for Kirsten’s top five trekking essentials. As you may know, my husband, Hank, and I have been living in Latin America for nearly two years as part of our experiment in nomadic living. 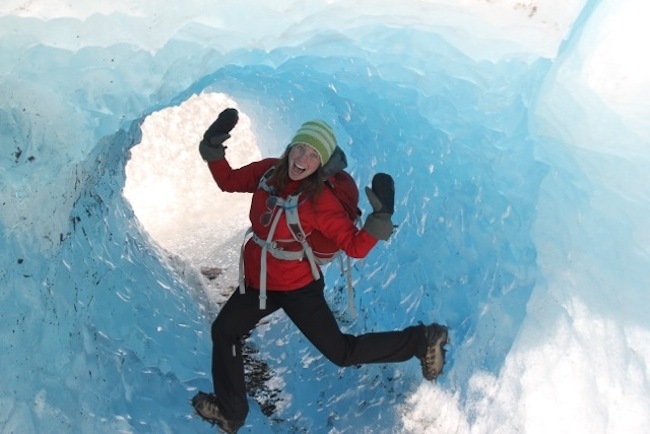 To help us plan a few new adventures in 2013, we turned to Myths and Mountains specialist Allie Almario for her extensive experience in organizing custom travel in South America. 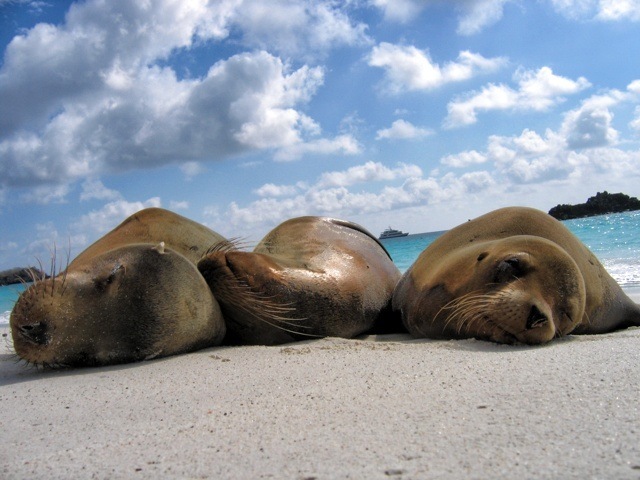 Galapagos Sea Lions by Allie AlmarioRead on for Allie’s insider insights and recommendations, in case, like us, you’re planning to pack a suitcase for South America in the new year. What’s trending in travel to South America? More people are doing “combo” trips - combining one country with another. For example, our most popular trip this year has been our Across Patagonia itinerary, which starts on the Chilean side of Patagonia and crosses over into the Argentinian side or vice versa. Of course, combining the Galapagos with Machu Picchu continues to be a favorite travel combination. Why? I’m hearing a lot more of “Well, this might be the only time I ever get to XYZ, so I might as well do as much as possible.” My theory is that with such a precarious economy, people are being very protective about their vacation time and budget; more so than ever. What’s new and exciting for travelers to do in South America? South America used to be a backpacker’s dream. In some ways, it still is. But these days, people are looking for five-star experiences. It’s why the idea of trekking by day and enjoying luxury by night has taken on a whole new meaning there. Now, you can spend your days trekking to Machu Picchu and return at night to a luxury lodge where the staff will greet you with a cocktail, fluff your down comforter, and direct you to a hot tub where you can soak your tired body. Even Easter Island, which used to only offer basic accommodations, has opened a five-star Explora lodge. The days of settling for outdated motel-style rooms on the island have passed. If “glamping” in a tented camp with a view of palm trees and the ocean on Easter Island (Rapa Nui), one of the world’s most remote and mysterious archeological sites, is on your wish list, no problem. What shouldn’t you do in South America? Confuse the words “hostal” and “hostel.” Hostal is the Spanish word commonly used to describe a hotel, but it is not the same as a hostel, which is low-cost backpacker style dormitory hotel. Point. Snap. Postcard. 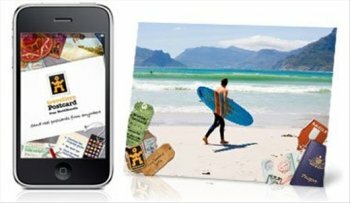 A new iPhone app makes sending vacation postcards as easy as a push of the finger. World Nomads (http://www.worldnomads.com/) announces the WorldNomads.com Postcard App for the iPhone thats guaranteed to secure travel memories on refrigerator doors. Here’s how it works. Users simply download the free app from iTunes. Using the app via PayPal they purchase stamps (the cost of $2 per stamp works for delivery anywhere in the world). Users then snap a photo that is then turned into a postcard image. Type a message for the back. Add a delivery address and then submit everything electronically. The postcard is printed in the USA on real high-quality gloss paper, stamped and then sent to the address on the card anywhere in the world. When making stamp purchases there’s also an opportunity to donate to one of World Nomads’ Footprints Projects that help change lives by funding community development projects that fight poverty worldwide. See: http://www.footprintsnetwork.org/openprojects.aspx. With the end of 2010, private guided tour company Kensington Tours, polled its team of destination experts to see what trends they saw on the horizon for travel in 2011. Their team, which coordinates thousands of private guided tours to more than 80 countries worldwide every year, came back with a variety of insightful tips for vacation planning for the new year ranging from hot new destinations to exciting new ways of experiencing old favorites. 3. Nicaragua – The Next Costa Rica? ”With its great mix of tropical rainforests, vibrant culture, colonial history, heavenly beaches and amazing, affordable properties, Nicaragua is working its way up the hot list,” says Brandi Merchant Kensington’s Senior Central American Expert. “Currently more like the Costa Rica of 20 years ago, Survivor Nicaragua is putting the country in the spotlight and driving a spike in enquires.” Adventurers can enjoy exotic wildlife safaris, horseback riding, volcano hikes kayaking through mangroves, surfing, fishing, zip-lining, exploring cloud forests, relaxing in hot springs, scuba diving, touring colonial towns and even tree planting! Lock up that backpack, throw the sneakers to the back of the closet – you won’t be needing them in any of these glittering destinations. Follow Lonely Planet on a red carpet ride through the top 10 swanky spots the celebrities love – and you just might too.